What is Ayurveda and how can it help me? This course is gives you the answer to this question, and SO much more! In this engaging, fun and rich course, you'll be guided into the amazing world of Ayurveda, from the most practical to the sublime philosophy that lies at its core. 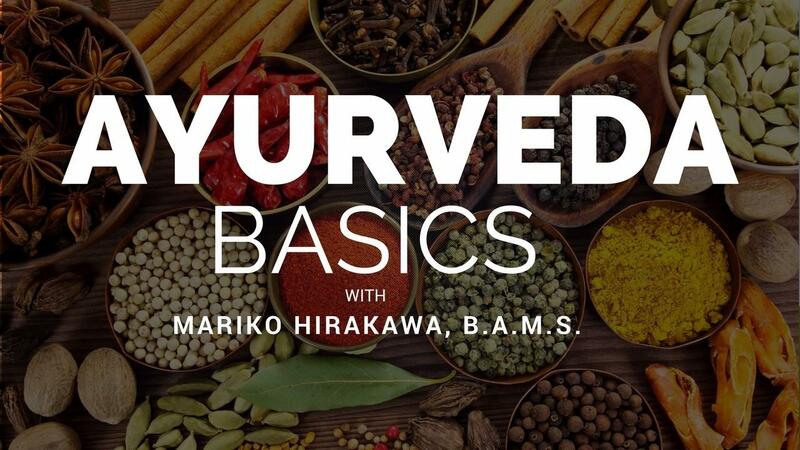 Drawing from her 7 years of study at the top Ayurvedic University in India where she was a fellowship scholar, as well as her background as a professional ballet dancer and 25 years of teaching a variety of styles of Yoga, Mariko will share her experience and perspective of Ayurveda that is inspiring and deep, yet eminently practical. How Ayurveda can enhance your Yoga practice, and visa versa. What doshas are, and how to understand their unique language. How to decipher your Ayurvedic Constitution through the ancient art of Pulse Diagnosis. Why and how we get sick according to Ayurveda, and how we can prevent it. How to take therapeutic action to restore balance. How to create a customized Ayurvedic Schedule that serves your unique, individual needs. Key Ayurvedic herbs to optimize your health. Let's dive in and start paving the path towards radiant health naturally! In this engaging, rich course, you'll be guided into the amazing world of Ayurveda, from the most practical to the sublime philosophy that lies at its core. * How Ayurveda can enhance your Yoga practice, and visa versa. * What doshas are, and how to understand their unique language. * How to decipher your Ayurvedic Constitution through the ancient art of Pulse Diagnosis. * Why and how we get sick according to Ayurveda, and how we can prevent it. * How to take therapeutic action to restore balance. * How to create a customized Ayurvedic Schedule that serves your unique, individual needs. * Key Ayurvedic herbs to optimize your health.